Keywords: morbidity, thyroid gland, adult population. Background. The diseases of thyroid gland have been attracting considerable attention in recent decades. This is partly due to the fact that thyroid gland reacts actively to geochemical state and pollution of the environment with industrial and agricultural waste products with the subsequent incidence of certain pathological processes. The objective of the research was to analyze the morbidity of adult population of Ukraine for thyroid gland diseases in the period from 2000 to 2013. Methods. The methods of empirical and theoretical research of scientific information: analysis, synthesis, induction, deduction and systematization, as well as epidemiological and statistical methods were used. Using the Microsoft Office Excel (2007) and IBM SPSS StatisticsBase v.22 program the correlation and regression analyzes were conducted. Results. From 2000 to 2013, high levels of adult population endocrinopathies, thyroid in general and diffuse goiter of varying degrees, general and primary morbidity were registered in the western and northern regions of Ukraine, low – in the central, eastern and southern regions. Statistically significant (p<0.001) positive correlation between the level of prevalence and the level of incidence of endocrine pathology, diseases of thyroid gland as a whole, as well as individual nosology was detected. Conclusions. Regional peculiarities of the levels and dynamics of changes in the incidence rates of thyroid morbidity among adult population of Ukraine can be related to the urgent environmental factors for each region. This factor requires further study to develop effective methods of prophylaxis and defense. Karachentsev YuI, Tymchenko AM, Kozakov OV. Current trends of endocrine morbidity and prospects for endocrinology service development. Health of Ukraine. Available at http://health-ua.com/ article/110.html. Feb 2018. Kravchenko VI, Postol SV. The dynamics of morbidity in pathology of thyroid gland in Ukraine. Intern Journal of Endocrinology. 2011;3(35):12–16. Kiptenko LI, Budko HIu, Vasko LV, Piddubna TI. Statistical analysis of diseases of the thyroid gland in the Sumy region population. The world of medicine and biology. 2009;2–3:17–21. Pyrohova VH, Kravchenko VI. Dynamics of diseases of the thyroid gland caused by iodine de ciency in the population of the Transcarpathian region Scienti c Bulletin of the Uzhgorod University 2011;3:132–139. WHO. UNISEF. ICCIDD. Global Database on Iodine Deficiency Iodine status worldwide Geneva 2004. 48 p.
Report of Endocrinology Service of Ukraine. Main indicators of activity of the endocrinology service of Ukraine for AMS and МES of Ukraine, SE V.P. Komisarenko Institute of Endocrinology and Metabolism named after of NAMS of Ukraine. 2000:31. Report of Endocrinology Service of Ukraine. Main indicators of activity of the endocrinology service of Ukraine for AMS and МES of Ukraine, SE V.P. Komisarenko Institute of Endocrinology and Metabolism named after of NAMS of Ukraine. 2005:31. Report of Endocrinology Service of Ukraine. Main indicators of activity of the endocrinology service of Ukraine for AMS and МES of Ukraine, SE V.P. Komisarenko Institute of Endocrinology and Metabolism named after of NAMS of Ukraine. 2006:33. Report of Endocrinology Service of Ukraine. Main indicators of activity of the endocrinology service of Ukraine for AMS and МES of Ukraine, SE V.P. Komisarenko Institute of Endocrinology and Metabolism named after of NAMS of Ukraine. 2007:33. Report of Endocrinology Service of Ukraine. Main indicators of activity of the endocrinology service of Ukraine for AMS and МES of Ukraine, SE V.P. Komisarenko Institute of Endocrinology and Metabolism named after of NAMS of Ukraine. 2010:31. Report of Endocrinology Service of Ukraine. Main indicators of activity of the endocrinology service of Ukraine for AMS and МES of Ukraine, SE V.P. Komisarenko Institute of Endocrinology and Metabolism named after of NAMS of Ukraine. 2012:36. Report of Endocrinology Service of Ukrainе. Main indicators of activity of the endocrinology service of Ukraine for AMS and МЕS of Ukraine, SE V.P. Komisarenko Institute of Endocrinology and Metabolism named after of NAMS of Ukraine. 2014:40. Larin OS, Pankiv VI, Selivanenko MI, Hrachova AP. Analysis of the activity of the endocrinology service of Ukraine in 2010 and prospects for the development of medical care for patients with endocrine pathology. 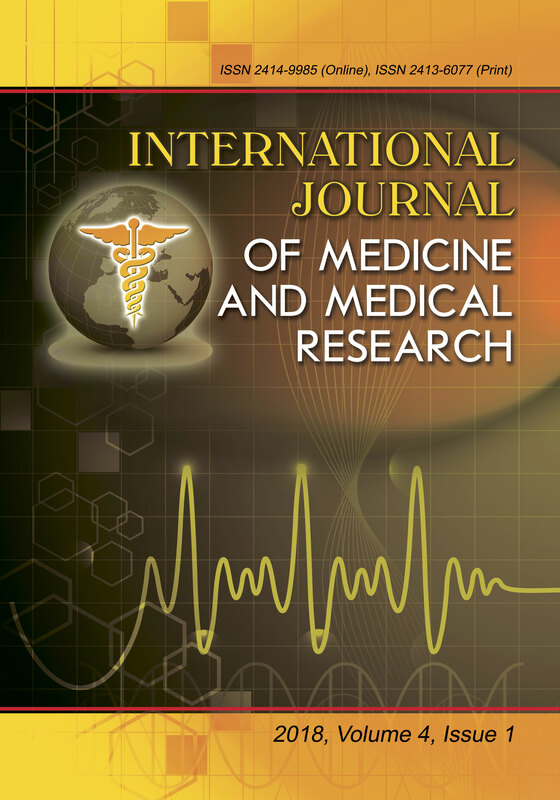 Intern Journal of Endocrinology 2011;3 (35):1–7.